Published March 6, 2012 at 747 × 1000 in 1-2-3 indigo vat and some itajime at the JANM. Sounds like a lot of fun and beautiful results………………however, Im surprised you are not teaching people to put gloves on hands that are dipping into dye. Especially into indigo. How come?? we were not using indigo here. only the colorhue. do you not see some of the gals wearing gloves here? 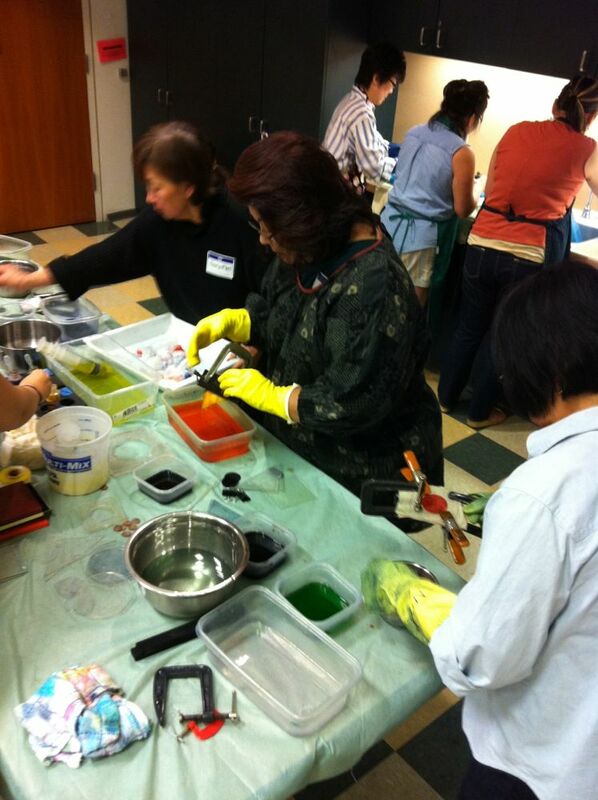 the others were using syringes, pouring dye over etc. a bowl of gloves was available on the table and most brought their own.